The Maruti Suzuki Ignis created news last year when the smart-looking hatchback made an appearance as a production-ready concept at the 2016 Auto Expo. It has now made its commercial debut with Maruti Suzuki announcing the prices today in New Delhi. Slotting between the Maruti Suzuki Celerio and the Maruti Suzuki Swift, the Ignis is priced between Rs 4.59-7.46 lakh (ex-showroom, Delhi). The Ignis will be available with two engine options - a 1.2l K-series petrol motor good for 84.3PS of power and 113Nm of torque and a 1.3l DDiS diesel that puts out 75PS of power and 190Nm of torque. Both engines already do duty in the Maruti Suzuki Swift and Baleno, and were the obvious economical choice for India compared to the more complex Boosterjet engines that Suzuki offers on the JDM and Euro-spec models of the Ignis. Both these engines can be specified with either a 5-speed manual or a 5-speed automated manual transmission (AMT, or AGS in Suzuki-speak). Interestingly, only the mid-range trims - Delta and Zeta - have the automatic option to keep the price range in check. The Ignis is built on an improvised version of the platform that underpins the Baleno, giving it a lightweight chassis that should impart a fun to drive character to the Ignis. Tipping the scales at a little over 800kg, we expect this hatchback to be quite fuel-efficient too! But more on that next week. 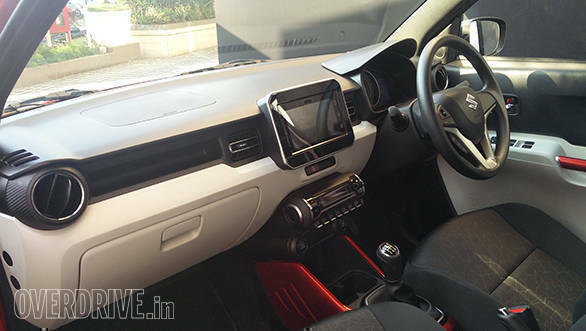 The Ignis also brings along some segment-firsts like LED daytime running lamps, LED headlamps and a touchscreen infotainment system that provides smartphone interfaces like Apple CarPlay and Android Auto (the latter is a first for any Maruti Suzuki). These, however, are only available on the range-topping Zeta trim. Other notable features include keyless entry and go, parking sensors and reversing camera, steering-mounted audio and telephony controls and a 2-DIN audio unit (mid-spec variants). Safety has been looked into keenly, and Maruti Suzuki is offering front airbags and anti-lock brakes (ABS) as a standard figment across the range. Special attention has also been given to the car's side impact protection. That said, the Ignis has recently managed only a three-star rating at the Euro-NCAP crash tests. It is also worth noting that the rating comes courtesy of the side airbags offered on the Euro-spec model - and aren't available on the Ignis launched in India today. 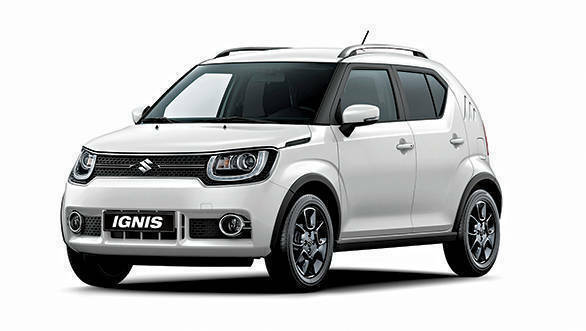 Capitalising on the trend, Suzuki is taunting the Ignis as a compact SUV in the global market. Giving it those credentials are the muscular styling cues seen in the wheel arches, the board and boxy stance, the rugged side moulding (top trim only), the tall roofline and a high ground clearance of 180mm. 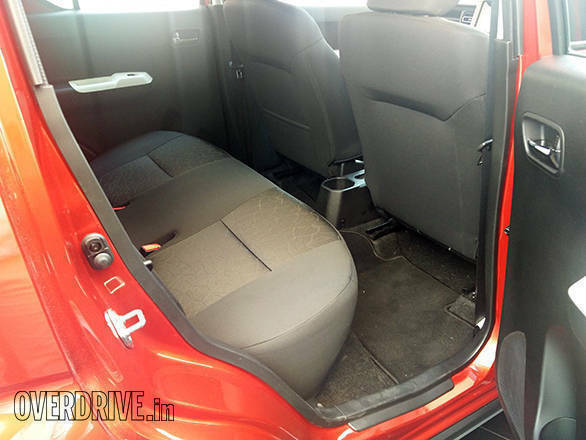 From that point of view, it slots between the Renault Kwid and the Maruti Suzuki Vitara Brezza, and its only natural rival is the Mahindra KUV100. We are getting our hands on the Maruti Suzuki Ignis next week, so stay tuned to OVERDRIVE as we bring you our detailed review of the new hatchback.